nice TOYOT Yaris 2-door hatchback has power options, safety options, and great gas mileage, too!, PERFECT COMMUTER CAR OR GREAT FOR A NEW DRIVER OR STUDENT. 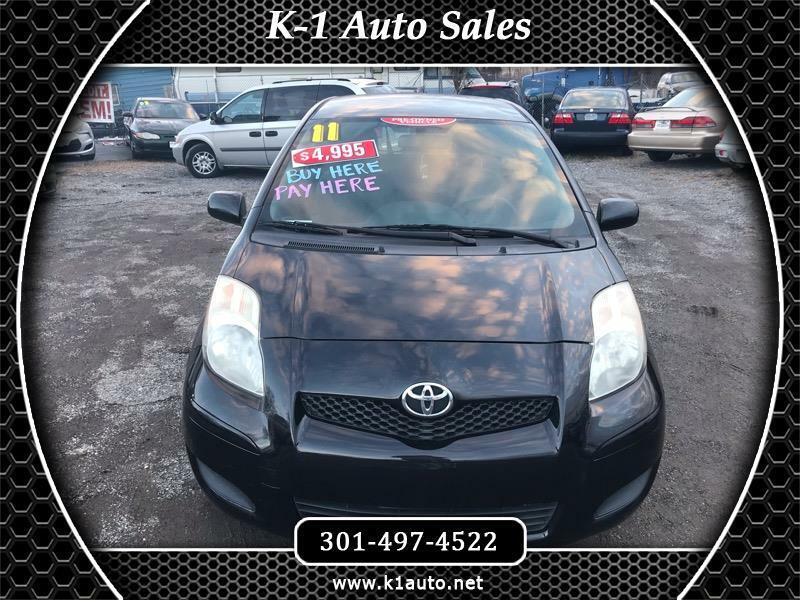 Prices listed are cash prices, in house BHPH financing prices are slightly higher Visit our website, http://www.k1auto.net Contact us for more information at (301)497-4522 We do our absolute best to provide you with the most accurate information available. Sometimes an error may occur. Please verify all information listed on the vehicle with your sales associate. Ask about vehicle warranties choices. Trade-ins accepted. Financing available. Out of State residents should contact us before applying for credit. Out-of State residents pay no sales tax in MD proof of insurance. Payment by cash, cashier's check, certified check or bank loan check. Personal checks and credit card checks are not accepted. Credit cards may only be used for deposits.